A pharmacist works with students on creating medications. Learning how to start an IV. A student works with prescription medicines. Dr. Michael Jenks, chairman of the Fauquier Hospital Emergency Department helps students through a mock emergency. 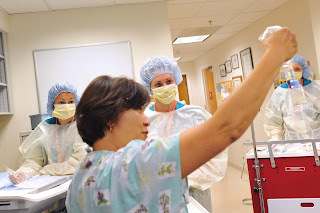 Each summer, while many children are canoeing, horseback riding or singing songs around a campfire, a choice group of young students are learning to suture wounds, start an intravenous drip, cast a broken bone, among other skills—all while learning about the medical profession through a hands-on medical camp at Fauquier Hospital in Warrenton, Va. The camp, now in its eighth year, draws children from as far away as Illinois and offers two levels of camps. 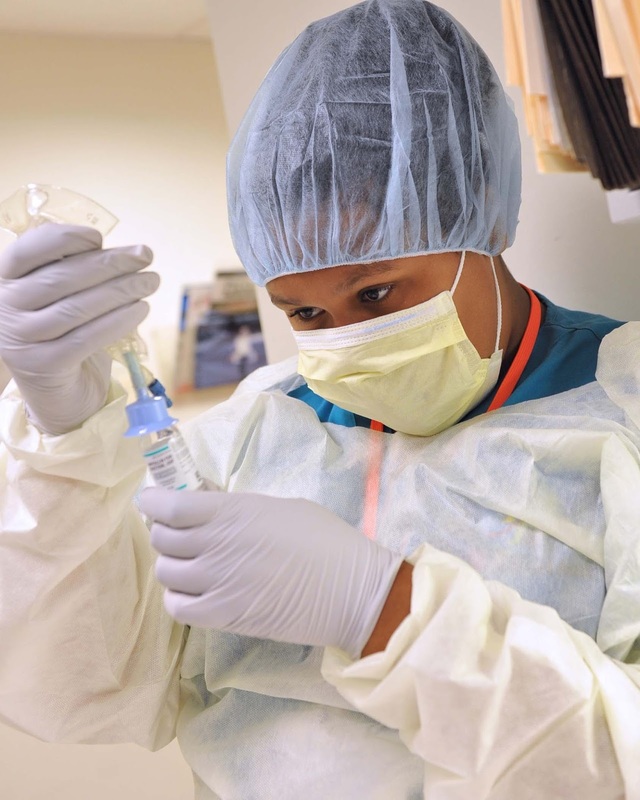 It’s the perfect opportunity for students to see if a career in medicine is right for them. Some, who participated at the camp in the past, are now in medical school, nursing school or exploring other healthcare professions. 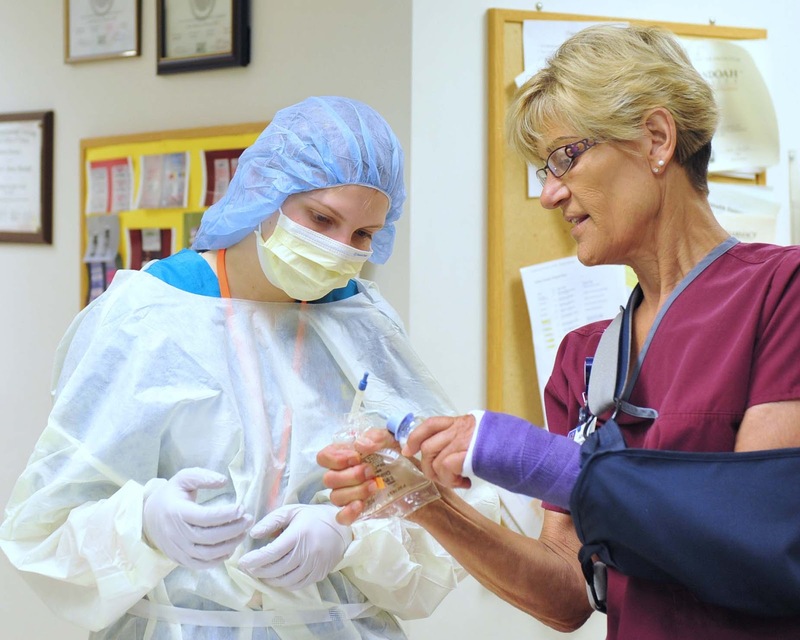 Open to children 13-18 years of age, the camps offer hands-on activities where students learn and practice skills essential to patient care, such as starting an IV, mixing medications, administering CPR and more. Each camp lasts two days, from 8 a.m. through 3 p.m. Acceptance into the camp program is competitive, and this summer, Fauquier Health is expecting students from Virginia, Maryland, Washington, D.C., New York, Illinois and Pennsylvania. The first Level 1 camp was June 16-17, and others will be held June 23-24 and July 7-8. Level 2 dates are July 21-22 and August 4-5. “We’ve been astounded at the interest in these camps,” stated Julie Fainter, strategic services manager at Fauquier Hospital and an organizer of the camps. “Since its inception eight years ago, the camps have attracted participants from across the country. It is the perfect opportunity for kids with an interest in medicine to really experience and learn about medical career opportunities.” For instance, two former campers are now nurses at the hospital, another former camper is about to graduate college as a pre-med major, a former camper is in medical school at the University of Virginia and another is serving in the Army as a medic. 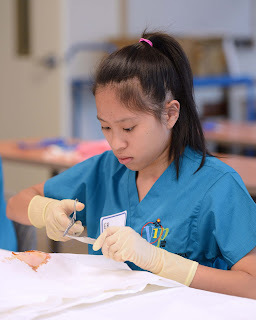 First-time campers attend the Level 1 medical camp, learning skills like typing blood in the lab, suturing, learning to intubate a patient, starting an IV, mixing medications in the pharmacy and seeing how X-rays are performed. 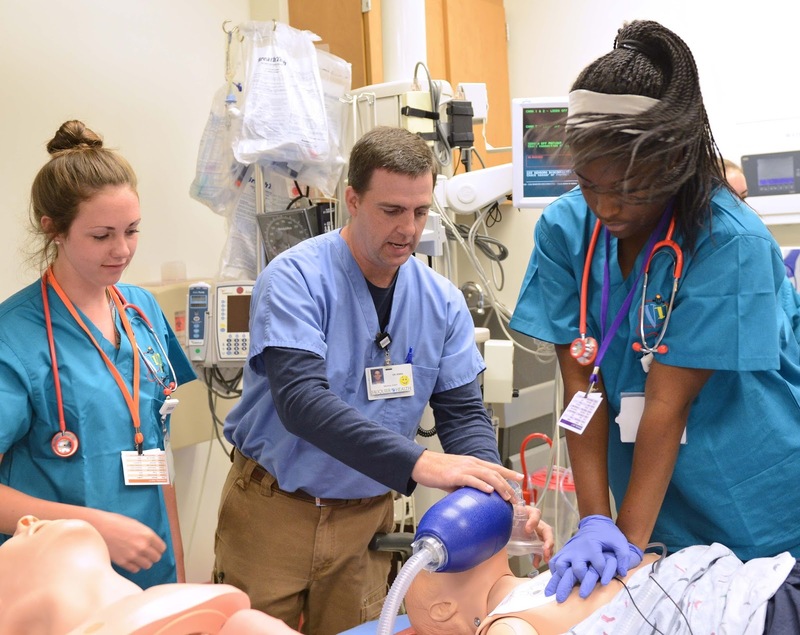 Students participate in a mock code in the emergency department, learn to use the Broselow tape to calculate the appropriate equipment and medication dosage for pediatric patients; learn to take blood pressure, and listen to heart and lung sounds. Level 2 medical camp activities include all of the following on the first day: advanced suturing, casting (and cutting the cast off using the cast saw), wound care, a discussion on medical ethics and a backboarding and collaring session, where students will learn to extricate an accident victim from a vehicle. On the second day, students will complete a dissection on a pig; learn to do injections and blood draws, and precipitate their DNA from a cheek swab. For more information on the camps or the hospital, please visit www.fauquierhealth.org.